Anglia Tours, the UK's market leader in fully-guided history tours for schools, has just published a new booklet for the Centenary of the First World War, that was written, designed and illustrated by myself. Providing a high quality resource booklet for each student who travels with us has long been a key part of the Anglia Tours’ service. The advent of the Centenary of the First World War provided the perfect opportunity to review the booklet we use for our battlefield tour. We wanted something which was visually engaging, full of original drawings, maps and diagrams. 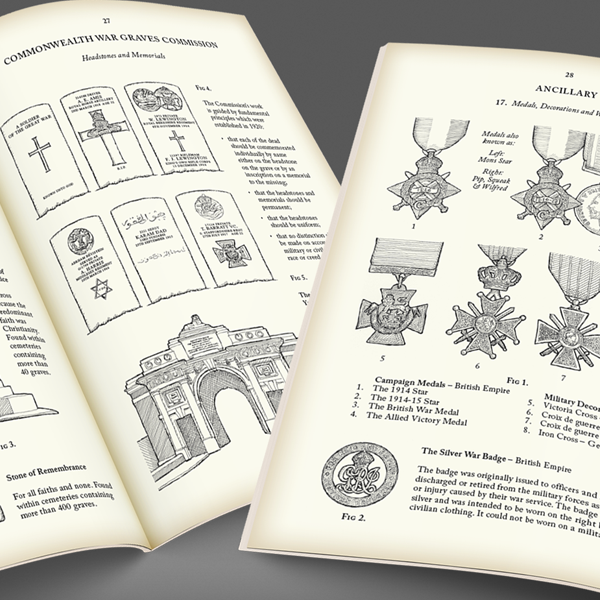 It needed to include valuable information on the nations, forces and men who fought the ‘war to end all wars’, personalised with the stories of men buried or commemorated in the some of the many locations we take groups to. We are delighted with the result!